This corner shop has been a bakery for about 50 years but in the first quarter of the 20th century it sold either meat or fish. 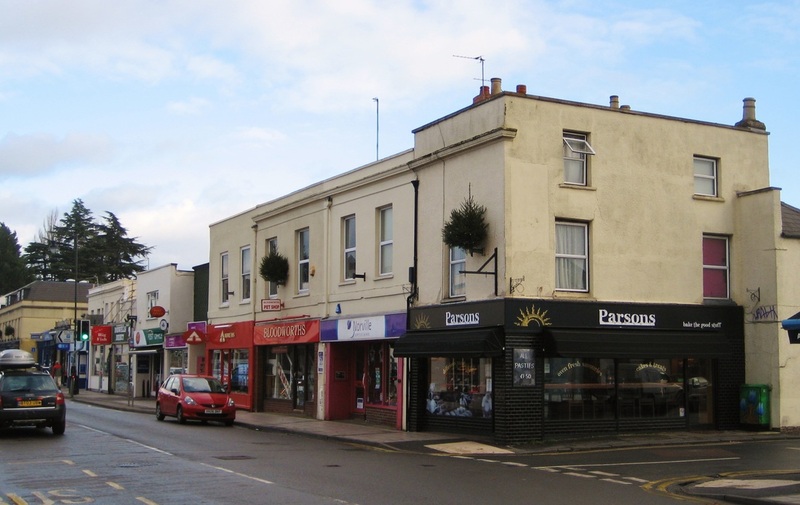 It started off the century as one of the grocer’s shops belonging to Mr Thomas Giles Smith, who was licensed to sell alcohol and also had a shop at the High Street end of the Bath Road. He was declared bankrupt in 1901 and when he left here it became the butcher’s Ashcroft and Son Ltd. They traded from here for about five years just prior to the First World War. Information is lacking for the period around the start of the twenties but the directory of 1923 lists Mr A H Jones, fishmonger, at this shop. He was followed two or three years later by butcher, Mr Ernest Frederick Selvey, who was a lively character and, like other traders, stayed open late on a Saturday. He could be heard quite a way off trying to be rid of the last few pieces of meat! He eventually left the area and emigrated to Canada. Mr Frederick Hook took over for a short time. 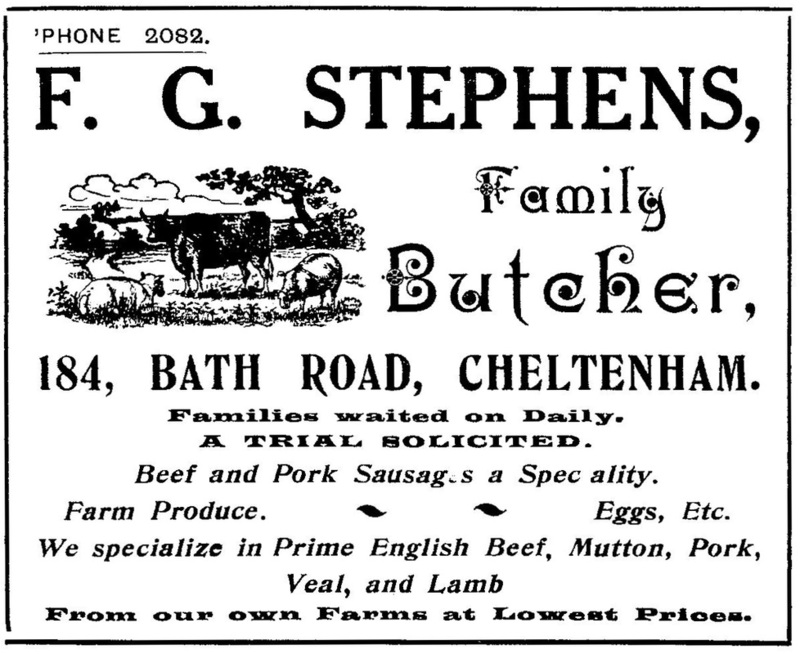 The next occupant was a very familiar name to many people; Fred Stephens was the butcher here in the 1930s. He had left by the start of the Second World War but returned to the road when he bought Leigh James’ shop, a few doors away, in 1961. During the War these empty premises were taken over by the authorities and used as a billet for soldiers. Behind the building was what could be described as a ‘junk shop’ with bits of old furniture for sale. On one occasion when Cheltenham was hit by bombing, a bomb fell directly on it sending old iron bedsteads and the like all over the Bath Road! After the War the shop itself became a tea-shop called, appropriately, The Corner Café. It was run by Mrs Peggy Aitken, who was the sister of Mrs Diana Leopold. Mrs Leopold had visited her sister in Scunthorpe, Lincs where Mr Aitken worked in the mines, and taught her the art of baking. 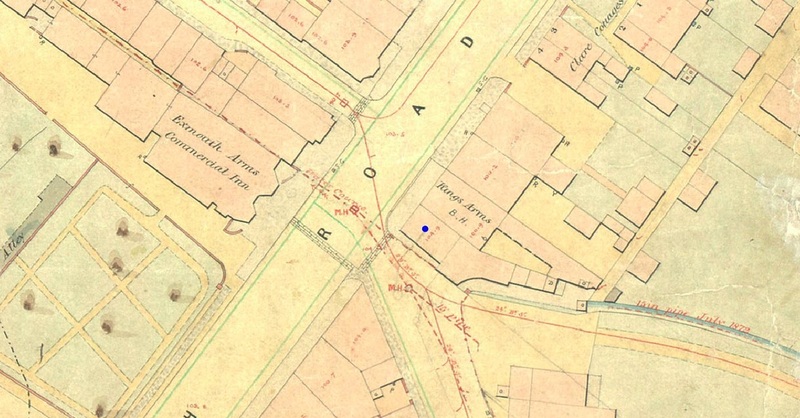 Mr Aitken left the mines through ill-health and, with his wife, moved south. 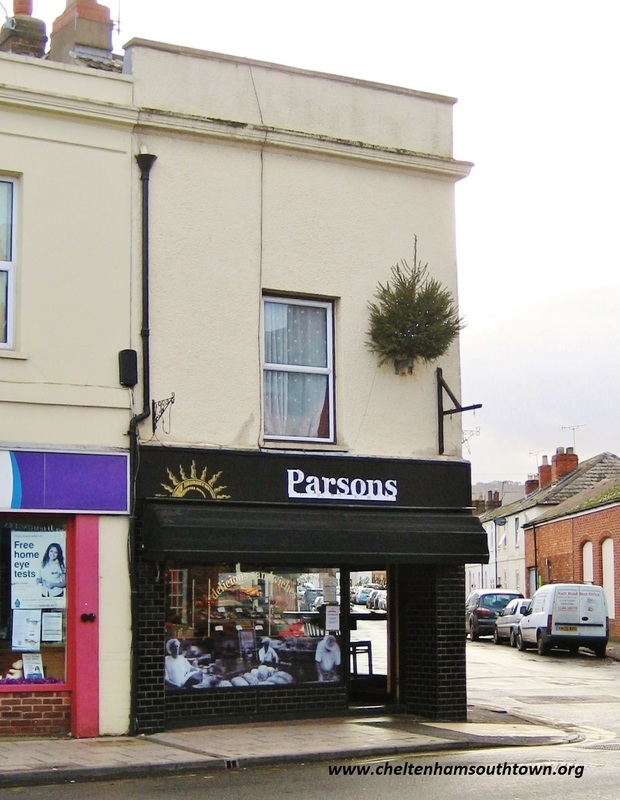 When this shop became available they moved in and opened a café. Mrs Aitken sold cakes and bread brought in from elsewhere and ran the shop mostly on her own. They lived over the shop and often on Sunday would be seen driving out in Mr Aitken’s 1935 Austin 10 motor car. The shop was taken over by the Leopold family in the mid 1960s. 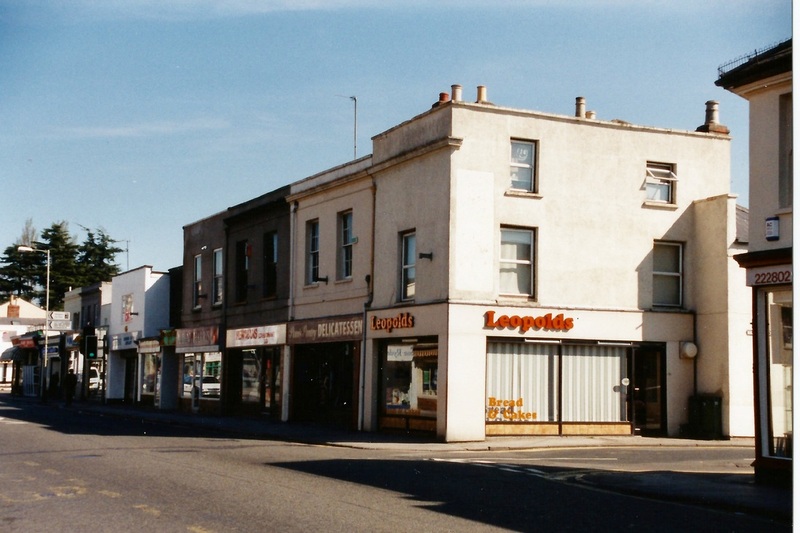 Leopolds Bakery had been started by Mr Frederick Bowman Leopold and his wife shortly before the outbreak of the 1914 – 1918 war. Frederick was born in the Channel Islands about 1888 and when he was 14 he joined a firm of grocers on the island of Jersey. Three years later he and his parents moved to the mainland where they made their home in Birmingham. Mr Leopold supported many sporting activities including cricket, rugby, football and swimming. He also did much work for charity and during the 1939-45 war he organised the ‘Cake Bag Fund’. This was a scheme where customers were charged for their paper bags and the money put to charity. In all, over eight and a half thousand pounds was raised and the money used for two new ambulances, parcels for prisoners of war, a donation to the General Hospital and the remainder to other charitable institutions. 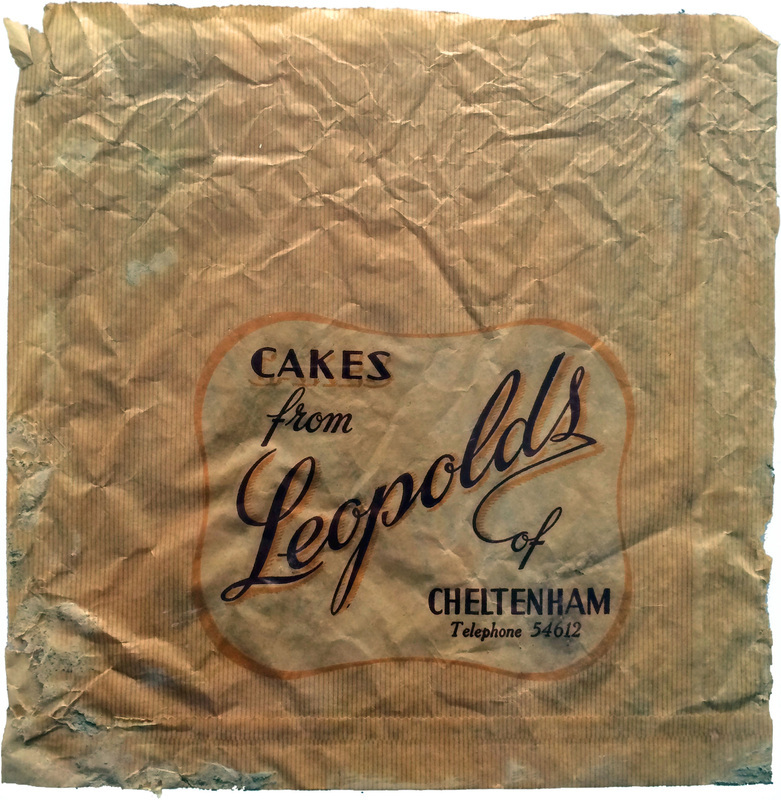 After Mr Leopold died at his home in Leckhampton Road, on December 2nd 1951, the business was carried on by his sons, Peter and Bob. 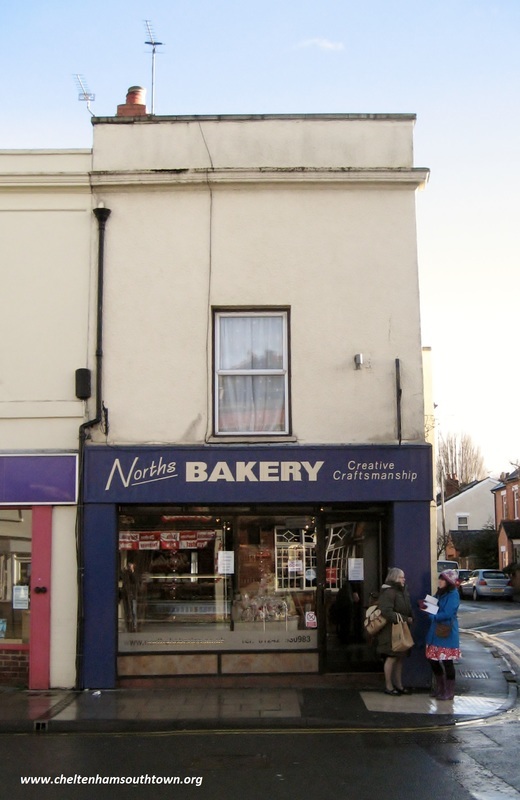 Although the Leopold family continues to own the premises the shop was taken over by Norths, another family firm of bakers based in Winchcombe, which operated five shops in this part of Gloucestershire. 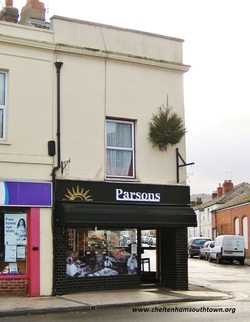 Then in the summer of 2014 this changed again to Parsons, also a family-owned company with 38 shops in the south of England.